Soul Salmon male. Fiberglass. 8-feet long. 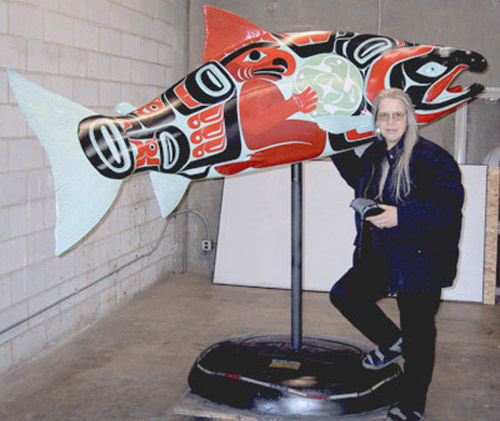 Loren White and Lane Quine, Port Orchard, WA designed and painted this example of the Soul Salmon male model in the Native Northwest style. "Onco" traveled to Chicago for six months as part of the City Critters event. Shown with SMJ.